The website of New York advertising broker Marquee Media. 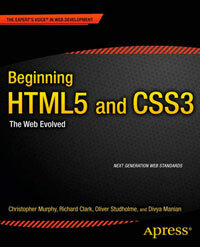 The site uses some of the new HTML5 structural elements including nav, footer and section. The section elements on the home page make sense but it’s rare for a section not to need a heading, so the links that are visual headings could go into headings. This is a really nice clean design that incorporates a nice retro theme. It’s refreshing to see companies try new things versus sticking to the traditional cold corporate look and feel.